Now Living live to help. Now Living believe with a little help, anything is possible. So much so, they spent time condensing the many ways they have helped people get into their own homes, into the core “21 Ways Now Living can help”, and put these into practice everyday. The journey of a recent Now Living client, Sheena, highlights these ways. Sheena came to Now Living in the hope of getting into her first home but needed someone to help guide her through the building journey. With access to a wide range of finance options Now Living, in partnership with the LoanCo, will bend over backwards to help homebuyers find the right finance solution. 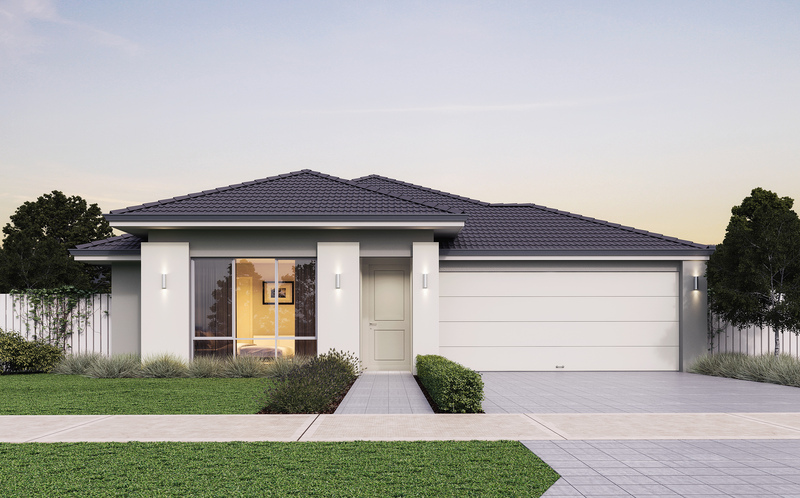 Now Living know that every dollar counts when saving for a deposit, so they offer home packages for a low $1000 deposit, starting from just $285 000 move-in ready. At Now Living, every home is move-in ready. From downlights to door knobs, clotheslines to carpets. Even more unique is that Now Living homes have all-inclusive siteworks, meaning no nasty surprises or hidden costs. It’s hard to know where to start when looking to build a home, and if done wrong it can be stressful process. Now Living’s team do the hard work for their clients. From scouring locations and identifying functional house designs, to providing interior designer colour advice for both interior and exterior finishes, they make the complex decisions easy and guide clients through a smooth process. 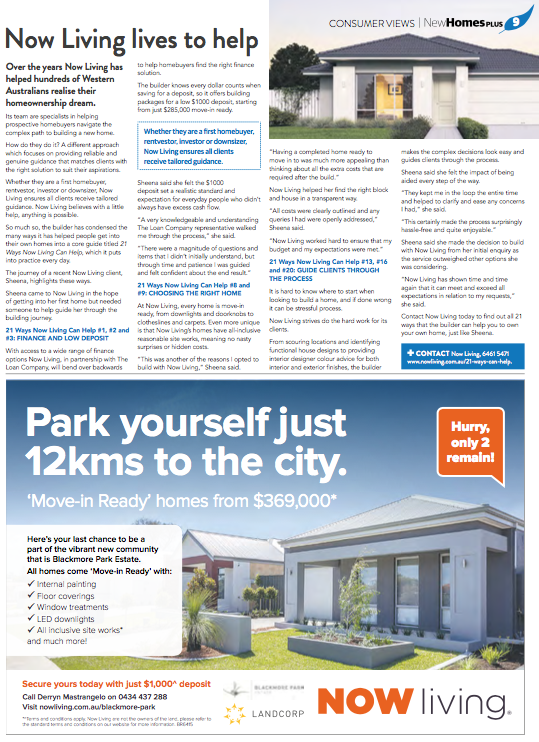 Contact Now Living today, to find out all 21 ways Now Living can help you to own your own home, just like Sheena. Reveley Project on 9 News. MBA Apprentice of the Year Awards. New Financial Year Resolution – Get into your own home.